The Overview: Adelina Amouteru’s heart has suffered at the hands of both family and friends, turning her down the bitter path of revenge. Now known and feared as the White Wolf, she and her sister flee Kenettra to find other Young Elites in the hopes of building her own army of allies. Her goal: to strike down the Inquisition Axis, the white-cloaked soldiers that murdered her love, the Crown Prince Enzo Valenciano. But Adelina is no heroine. Her powers, fed only by fear and hate, have started to grow beyond her control. She does not trust her newfound Elite friends. Teren Santoro, leader of the Inquisition, wants her dead. And her former friends, Raffaele and the Dagger Society, want to stop her thirst for vengeance. Adelina struggles to cling to the good within her. But how can someone be good, when her very existence depends on darkness? As much as I loved the Legend trilogy, I was apprehensive about this series at first, but ended up really enjoying it (so far). Adelina is such an atypical female lead that I couldn’t help but like her. I also really like the setting, and have the feeling it’s only going to get richer going forward. 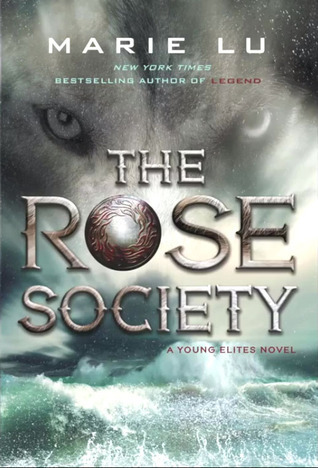 The Young Elites took an interesting plot turned near the end, which is solely responsible for why I’m clamoring for this novel sooner than I would’ve otherwise. I’m really looking forward to this one. So many yes’ I wanna know what happens now. I love the cover of this book. Thanks for sharing and I hope you enjoy the book! I am excited for this one too! I have The Young Elites but haven’t read it yet. So I’ll have to add this one to my list too. Good pick!